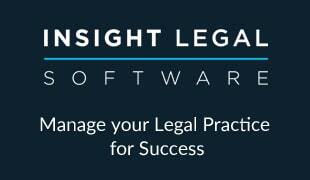 National law firm Weightmans LLP today warns that 2014 will see unprecedented pressures for the legal sector, advising legal organisations to step up their compliance and risk management activity in order to stay on top of these developments. Two years on from the launch of Outcomes Focussed Regulation and the new Handbook, the SRA has had enough time to determine the levels of compliance and consider rigorous enforcement. Richard Collins, Executive Director of Policy, Risk, Strategy, Communications, Standards and Research at the SRA has warned that ‘2014 will be the year of enforcement’. January sees the one year anniversary of the role of the COLP/COFA, and many in these roles still remain unclear as to what a breach is and whether it is material or not – unsurprising given the lack of guidance available from the regulator. Mike Haley, Director of Supervision at the SRA, has suggested that firms may be taken before the Solicitors Disciplinary Tribunal for breaches so that precedents or guidance can be set. “This should raise clear alarm bells for the profession. Being used as a “test case” is worrying enough, let alone considering the cost implications associated with going before the SDT – especially in the current financial climate. The SRA is currently consulting on a proposal to give it the power to increase the fines it can place on traditional law firms, bringing the penalties in line with those imposed on an ABS. At present, the SRA can only impose fines of up to £2,000 on traditional law firms. If it envisages that a more serious penalty is appropriate, then it has to refer the matter to the Solicitors’ Disciplinary Tribunal. In contrast it can fine an ABS up to £250 million – a clear inconsistency. The consultation is due to close on 7 February 2014 but Weightmans questions whether increasing the SRA’s penalty powers is really the best way to ‘fix’ the problem. Given the volume of activity undertaken by the SRA with regards to ‘traditional’ law firms and the relative infancy of most ABSs, one could be forgiven for believing that they are not on the immediate radar of the SRA. Yet Weightmans warns that those responsible for compliance within ABSs should not rest on their laurels – it is envisaged that the SRA will make initial visits during 2014 to ascertain compliance with the Handbook, with investigation and enforcement action potentially leading from these visits. The end of 2013 saw Quality Solicitors announce that all their members will be ditching the established model of hourly rates in favour of fixed fees for their clients. As the legal services market becomes bigger, the more creative and competitive pricing models will become. While there is a need for pricing in the legal sector to evolve, Weightmans warns that knee jerk reactions could have an adverse effect. HMRC’s proposed Partnership Tax Reform for LLPs comes into effect on 6th April 2014, and will have a significant impact on the tax liability for salary and equity partners. There is a risk that this could have a significant financial impact on the liability of the firm. Partner Michelle Garlick concludes: “It is key to remember that Outcomes Focused Regulation, risk management, strategy development and financial management are organic beasts. Whilst many firms spent 2013 putting in place policies and procedures to facilitate compliance with the Handbook, the roles of the COLP and COFA and a risk management framework to appease the insurers, none of this is static.